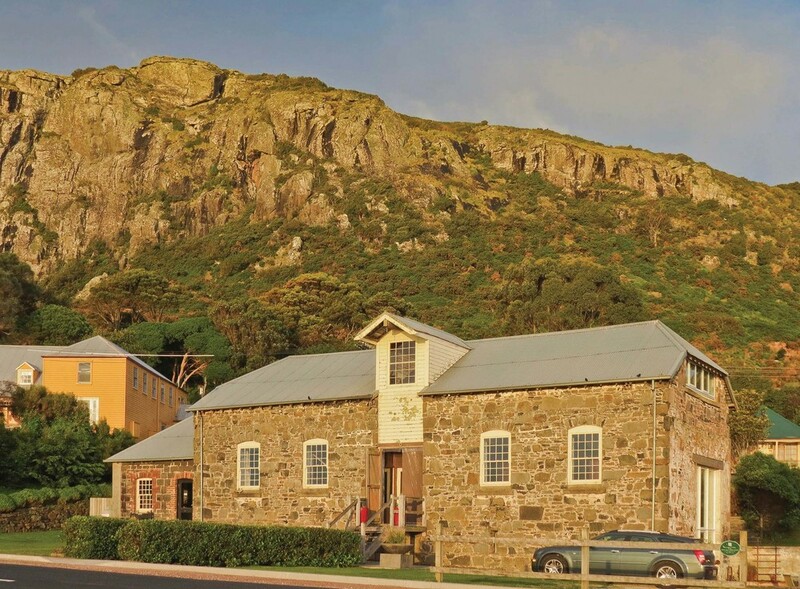 Stanley is home to one of Tasmania’s visual icons – The Nut – an imposing flat topped, volcanic plug rising 150 metres straight up from the water's edge. Visitors can brave the short but steep climb to the top of The Nut – or take the chairlift for an eagles view of the surrounding village, farms and coastline. The quaint township is full of colonial buildings that tell the tale of a once bustling fishing port. Now these buildings mostly house cafes, gift shops and B & B’s. 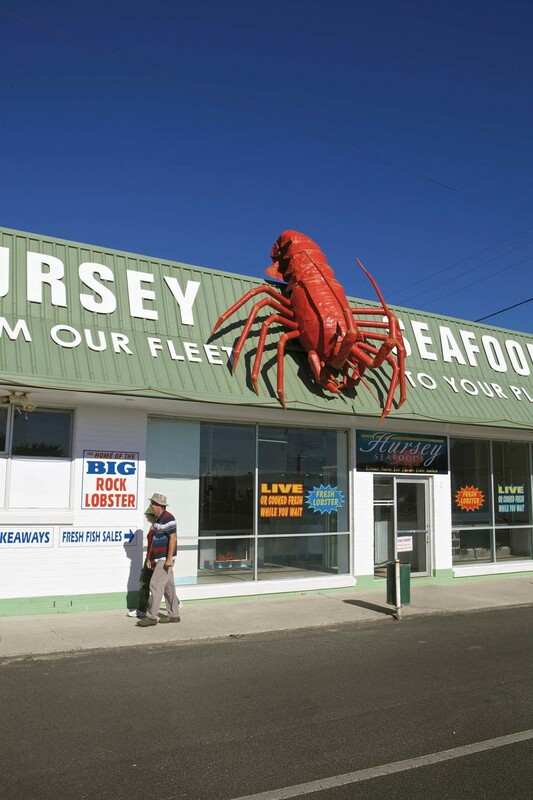 With many attractions including the Historic Highfield House, Seaquarium, Tarkine Forest Adventures, Wildlife and adventure tours and some of the freshest seafood in Tasmania, it’s no wonder Stanley is a favourite place to visit. With the quirky moniker of “The edge of the world” (because across the Southern Ocean to the west the next stop is Argentina! ), Stanley and its neighbouring towns challenge you to experience “Life on the Edge”. Rocky Cape National Park is small in scale but big on surprises. 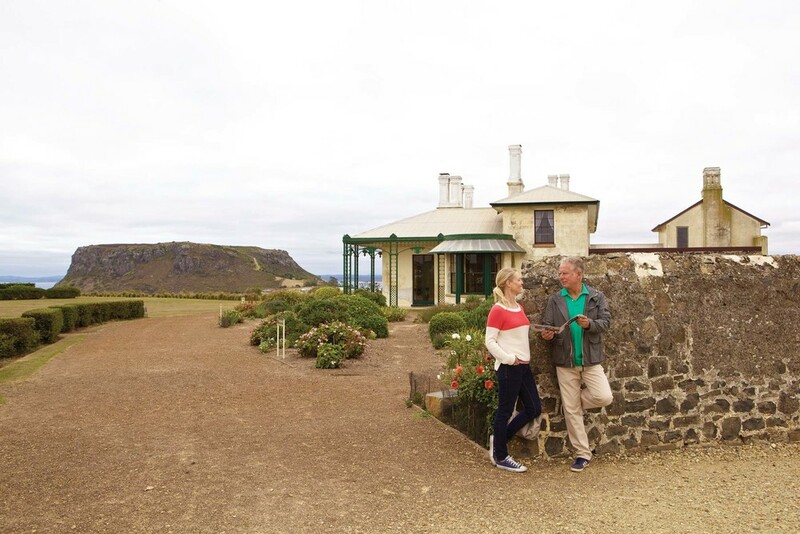 From expansive views across Bass Strait to the colourful wildflowers, native animals and the significant aboriginal heritage sites – Rocky Cape delivers. Like its neighbour The Nut, Rocky Cape has dramatic geological features including twisted and contorted rocks that were formed over millions of years. It also contains sea caves, rock pools and pretty, sheltered beaches such as the romantically named Anniversary Bay. While the headlands experience the full force of the sea and wind, much of the vegetation in the park is low lying, wind and salt tolerant coastal heath. These heathlands flower during spring and summer, giving colour to the surrounding hills. The Rocky Cape area contains many significant Tasmanian Aboriginal sites, dating back thousands of years. Vast cave middens, artefacts and rock shelters reveal much about the lifestyle of coastal Aboriginal people. Sisters Beach is a small town located within the Rocky Cape National Park and is situated on the old horse trail known as the Postman's Track that once formed the only connection between Emu Bay (now Burnie) and the Van Diemen's Land outpost of Stanley. The Gone Nuts trail follows this popular hiking track. Bounded on three sides by national park, and the fourth by Bass Strait waters, residents and visitors enjoy the relaxed peaceful lifestyle, the unspoiled beaches, clear unpolluted waters, stunning coastal scenery, and secluded bush land. This is the only area in Tasmania where Banksia Serrata grows naturally, and groves of these magnificent trees can be seen in the National Park. Winding your way down into Boat Harbour Beach is like unwrapping a birthday present. Each twist and turn reveals another exciting glimpse of what is to come. Colourful mosaic artworks along the roadside hint at the creative nature of the local residents. The crescent shaped bay of pure still aqua waters, the soft white sand and the rockpools and caves brimming with sea life make this a dream location. Outside of the summer months, when the surf club and local cafe are a hive of social activity, you may well be the only person on the beach. Sunset, fish and chips and a glass of Tasmania’s finest as you scan the horizon for whales, dolphins and seals. Who wouldn’t be delighted with that present? The magnificent plateau of Table Cape is a natural wonder that will leave you breathless. Sitting at 180 metres high it dominates the Wynyard coastline and offers spectacular views of Tasmania's coast and agricultural farmlands. You can drive to the top of the remains of this 12 million year-old volcano to the lookout, where, on a clear day, you can see landforms as far as 175 kilometres away. You can either drive or take the 30 minute return stroll along the cliff-top walking track to the Table Cape Lighthouse. Built in 1888, a tour up the spiral staircase to the balcony is an experience not to be missed. In summer, you may even see a pod of migrating whales playing in the bays beneath you. Table Cape Lighthouse is the only operating lighthouse open for tours in mainland Tasmania. Table Cape is also home to the Table Cape Tulip Farm. In 1984 the Roberts-Thomson family grew their first crop with tulip bulbs imported from Holland. Van Diemen Quality Bulbs has continued to expand and are now one of the major producers of not only tulip bulbs, but also Dutch iris and liliums. Each spring, acres of patchwork fields explode with colour, and visitors flock to the farm to wander amongst the glorious lines of colour that extend to the horizon like giant floral catwalks. Table Cape is special at any time of the year though. The rich red soils are bountiful all year round, with crops such as pyrethrum, poppies, lilliums and iris taking over the show in different seasons. More coastal wonders can be found at Fossil Bluff. These amazing sandstone cliffs are over 275 million years old and offer a rare insight into plant and animal life from another time. It’s the discovery site of Australia’s oldest fossil marsupial uncovered in the mid 19th century estimated to be approximately 25 million years old. Visitors can see and touch fossils preserved in the rocks – especially at low tide. Located at the mouth of the Inglis River, Wynyard is a popular for beach activities, ocean and river fishing, and lazy drives through picturesque landscapes. The local beaches and river are great for swimming, fishing, kayaking and waterside walks. There are several cafes and restaurants, and for the treasure hunters - second-hand shops and the Wynyard Foreshore Market, held on the first and third Sunday of each month. If you visit in October, be sure to stay for the Bloomin’ Tulips Festival. On the second Saturday of October each year, the town is abuzz with entertainment, activities, artists and an abundance of great local food and beverages. 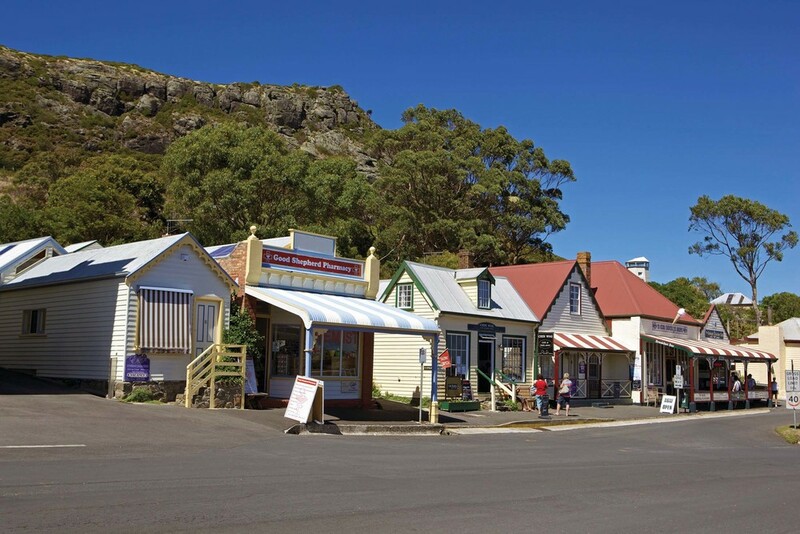 Accommodation options range from campsites to luxury self-contained houses, and being only a 45-min drive (60 km) west of Devonport, 20 min west of Burnie, 1.5 hours to Cradle Mountain and 45 mins to Stanley, Wynyard is the perfect central base to explore the spectacular North West.